4 6 Ways to Feel Beautiful in April 6 What is Your Favorite Way to Welcome Spring? 14 Talk Derby to Me: Hosting a Kentucky Derby Party 26 5 Tips to Go Green This Spring 28 Mastering the Art of Networking 29 What is Your Financial Personality? 10 Girl Scout Cookie Bake-off 30 Recipes: Easter Brunch 31	Restaurant Review - Bravo! 12 How Much Exercise is Enough? 18 Spring Clean Your Mind 32 What is Health Coaching? Greetings! Finally, April has arrived! I hope this month finds you happy, healthy and committed to staying that way. We have filled the pages of this magazine with articles that we hope will inspire you to embrace healthy habits and find new ways to take care of yourself. Your health is precious and worth every effort to safeguard it. Are you looking for a healthcare provider or wanting to try new type of treatment? We are pleased to introduce you, in these pages, to many of Kalamazoo’s outstanding healthcare providers. We are truly blessed to live in a community with such a wealth of resources and we’re thrilled to be able to share a bit of what’s available to you. Whatever else you do this month, make sure you head outside to enjoy as much of this glorious spring weather as you can. Bask in the sunshine and inhale the sweet fragrance of the flowers we’ve waited so long to see. After the winter we’ve had, we deserve to enjoy every sweet moment. Wishing you the Best April Ever! Feed your body with healthy foods. Be positive and appreciate your life. Listen. You have two ears and one mouth. L O C A L D E L I V E R Y AVA I L A B L E ! Where our residents thrive through compassionate care, faith and life-enriching relationships with staff, family & friends. The little treasure in Plainwell that carries a great selection of health goods & supplements Don’t see what you need? Just ask. We’ll get it for you! My favorite way to welcome spring is to smile back at the crocuses as they burst from the ground. It's so fun to welcome them as the first flowers to grace us with gorgeous color and a luscious fragrance. I like to take out my spring dishes, go for frozen yogurt and/or read on my porch to get me in the mood for a fresh new season. 8150 Moorsbridge Road, Ste A | Portage, MI | mydrdennis.com *Only 12 available under the free whitening offer. There’s no denying that this winter careers in a variety of non-profit organizations over the years. in Michigan has been harsh. So harsh, in fact, that it seems hard to believe that we’ll ever get to see lush greenery and blooming flora again. All pessimism aside, spring will indeed come once again (as it always does) and bring us the warmth and beauty our souls so desperately crave. 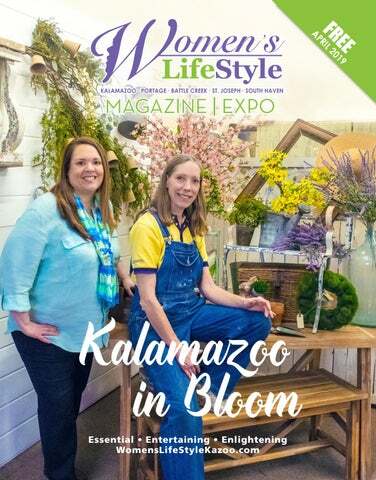 When it does, you can be sure that the members of the Kalamazoo in Bloom team will be ready. The local plants, flowers and trees they’ve been lovingly cultivating during the long, cold winter months will leave their greenhouses and be distributed throughout the Kalamazoo area. Their mission? To bring beauty and refreshment to our wonderful community and encourage us to spend a little more time outdoors. Gardener Educator people’s spirits seem lifted,” she notes. “I love the community involvement; both with the volunteers who make it all happen and the greater community who appreciate and positively comment on what we’ve done. It fills me with such gratitude and renews my passion for this work." Monika is happily and busily single. She is a big supporter of the arts and loves to take in a show at any of Kalamazoo’s great venues during her time off. She loves musicals and secretly dreams of being on Broadway, despite her lack of training, singing voice or acting experience. Her idea of a perfect day off would include watching a Hallmark movie, with nothing weighing on her mind. beds in Bronson Park in under three hours. Transforming the face of Kalamazoo’s outdoor spaces to make them more vibrant and welcoming is deeply satisfying for CJ. CJ loves that she has “the biggest and best office in Kalamazoo” where everyone can visit her. She deeply believes that this job chose her and she loves working outside. Not surprisingly, her perfect day is sunny and 70 degrees with no humidity. She worries that if we don’t do something to remedy the climate change that is threatens our planet, those “perfect days” will become rarer and rarer. She notes that “without drastic changes from everyone, there is no way our planet can sustain us into the next century. All other concerns pale when we realize we are destroying the planet that sustains us all.” CJ has spent 35 years in the theatre community, where she has learned many strange and wonderful things, including how to juggle. She loves crafts of all kinds and enjoys doing jigsaw puzzles to pass the long winter months. very February dessert lovers delight at the annual Girl Scout Cookie Bakeoff. Top chefs from the Kalamazoo area transform delicious Girl Scout cookies into the most decadent desserts. This year’s event featured some incredible desserts and amazing auction items. A great time was had by all and a little over $50,000 was raised to help send local girls to Girl Scout Camp. It doesn’t get much better than that! This year’s winning chef duo, Nicole Hassen and Rachel Peters of Friendship Village have been kind enough to share their recipe with our readers. Enjoy! Cream together the butter & both sugars until smooth. Drop spoonfuls of dough into greased cookie shot mold cavities, press inserts in. Dough should be about 1/4” thick. Bake for about 5-7 minutes in preheated oven, or until edges are lightly browned. Cool almost completely before removing inserts. Once cooled, paint inside with chocolate and let set. Remove cookies from mold. The filling options are limited only by your imagination. Enjoy! ARE YOU CHANGING JOBS OR RETIRING? 125 S. Kalamazoo Mall, Ste 201 Kalamazoo, MI 49007 O. 269.349.7744 | T. 800.842.0099 raymondjames.com/weissertkakabeeke Raymond James & Associates, Inc., member New York Stock Exchange/SIPC. Raymond James & Associates, Inc. is not affiliated with AT&T, Western Michigan University, Consumers Energy, Pfizer, Stryker or Zoetis. Choose massage for detoxing, realigning and recharging. Relaxing, nurturing and healthy. Gift certificates available. ow much exercise should you get? Whether it’s walking, running, biking, swimming, playing sports or doing yoga, the goal is for adults to get at least 150 minutes of moderate exercise or 75 minutes of vigorous exercise (or a combination of both) per week. Kids should get at least 60 minutes of physical activity every day. How you achieve this goal is up to you. Thirty minutes five times a week, 50 minutes three times a week, or just 22 minutes every day. You’ll experience benefits even if you divide your daily time into two or three blocks of 10 to 15 minutes each. “As an avid runner for over 20 years, I make it my goal to move every day for at least 45 minutes. I love to mix my exercise routine up. It may involve spinning, weight training, walking/running or yoga but my goal is always 45 minutes of movement,” said Michele A. S. Fabi of CEO of C2RS and co-chair of the 2019 Kalamazoo Heart Walk Adventure. •	Grab the leash & take the dog out for a walk. •	Walk the kids to the park or playground. •	Forget about rock star parking. Park a bit farther from the entrance to your workplace, school, grocery store, restaurants, etc. •	Take the stairs instead of the elevator, even if just for one or two floors. •	Walk to a nearby restaurant for lunch or dinner instead of driving. •	Catch up with a friend by walking around the block while you chat on the phone. You can practice Moving More at the Southwest Michigan Heart Walk on its new date, Saturday, May 18, 2019. The revamped Heart Walk will be adding zones throughout the event that will help participants Be Well, Eat Smart, Add Color to their lives and Move More. Challenges and engagement spaces are being added to the route along the campuses of Kalamazoo College and WMU. Cardiovascular disease survivors from across the state will be honored and there will be kid’s activities, a pet zone, music and more! This is a family and pet-friendly event. The Heart Walk is the American Heart Association’s mission – building healthier lives, free of cardiovascular diseases and stroke – in action. Held annually, the walk celebrates those who have made lifestyle changes in an effort to improve their hearthealth, and encourages others to take the pledge to live healthier lifestyles, while raising the funding needed for life-saving research and education. Banishing Spring Allergies (BPT) - Spring. The time of year when, as poet Alfred Lord Tennyson famously said, a young man’s (and woman’s) fancy “lightly turns to thoughts of love.” That is, of course, if you’re not sneezing, coughing or dealing with itchy eyes. Spring allergies seem to get worse every year. Is there anything you can do to avoid them? Yes, says allergist Todd Mahr, MD, president of the American College of Allergy, Asthma and Immunology (ACAAI). “You might feel like suffering from allergies is going to happen every spring no matter what, but there are ways to help alleviate your symptoms.” These 8 ACAAI tips will help you enjoy the season instead of sitting it out indoors. See an allergist. Before the season kicks in, make an appointment with an allergist to find out exactly what is causing those itchy, watery eyes. Discovering the allergen that you’re reacting to is the first step in treating it. The ACAAI’s Allergist Locator can help you find a board-certified allergist in your area. Find out if it’s allergies or asthma. Or both. The symptoms from asthma can be similar to those of allergies. To make matters worse, allergies plus asthma can be a one-two punch for some allergy sufferers. Almost 75 percent of asthma sufferers also have allergies. Your allergist can diagnose what’s causing your symptoms and offer suggestions for treatment so you can start living the life you want to live. Consider allergy shots... They may be the best way to treat tree, grass, mold, dust mite, cat and dog allergies. Allergy shots are immunotherapy. That means your allergist will gradually give you increasingly larger doses of whatever you’re allergic to. There are also tablets that melt under your tongue to treat allergies to ragweed, grass pollen and dust mites. Both forms create a tolerance within your immune system. ...or get a prescription. Research has shown that most allergy sufferers find prescription medications more effective than those they can get over the counter. But most people don’t go in search of a prescription. An allergist can discover exactly what you’re allergic to and prescribe the right medication to ease your symptoms. Start medication before the season hits. Don’t wait. Much like successful pain management involves getting in front of pain before it kicks into high gear, by taking your allergy medications before the worst symptoms develop, you’ll be doing a lot to alleviate those symptoms. If you usually start feeling it in March or April, start taking your medications in February. way to get rid of the pet hair and dander that have built up in places like your sofa. Wash throw rugs regularly, too, in hot water. Wash the day away before going to bed. Take a shower and wash your hair before hitting the hay to rinse away pollen and other allergens you’ve picked up during the day. Similarly, wash your sheets and bedding once a week in hot water. Use the AC. It’s tempting to throw open the windows and let that fresh spring air waft into the house. The only problem is, pollen and other allergens will waft in with it. Instead, use your air conditioner and make sure the filter is clean. Change your filter every three months and use one with a MERV rating of 11 or 12. With a few commonsense tactics, you can get ahead of your allergies and keep them in the rear-view mirror all season long. About ACAAI The ACAAI is a professional medical organization of more than 6,000 allergists-immunologists and allied health professionals, headquartered in Arlington Heights, Ill. The College fosters a culture of collaboration and congeniality in which its members work together and with others toward the common goals of patient care, education, advocacy and research. ACAAI allergists are boardcertified physicians trained to diagnose allergies and asthma, administer immunotherapy and provide patients with the best treatment outcomes. For more information and to find relief, visit AllergyandAsthmaRelief.org. reak out the bonnets, bowties, and bourbon because Saturday, May 4th is the 145th running of the Kentucky Derby. Kick off the outdoor entertaining season by hosting a glam gettogether to celebrate the Run for the Roses. The Mint Julep is the official drink of the Kentucky Derby. You can’t go wrong with this classic cocktail. Encourage guests to sport their most dapper Derby wear. Have a contest for best ladies’ hat and gentlemen’s bowtie. Keep the party hopping with dollar betting slips for all the races held at Kentucky Oaks on Derby Day. Delight your guests with a slice of Derby pie. This chocolate & pecan tart was created in Prospect, Kentucky at the Melrose Inn. Kentucky is the birthplace of Bourbon (declared America’s only native spirit, by Congress in 1964). Celebrate the Blue Grass State with a selection of fine Bourbons for your guests to enjoy. We recommend adding a bottle of Eagle Rare to your selection for a special treat. hether you are looking for vintage furniture, cute accessories, unique gifts, or even if you are unsure what you are looking for, troVe has something for you! Owner, Julie and her adorable “assistant” Zoie, the Bernese Mountain Dog, are almost always at the store to greet new and old friends with a big smile. Vintage, unique, antique, or chic, troVe has something for everyone. Multiple vendors rent and curate space in the store, which makes for a shopping experience that is unlike anything you will find in big box stores. We were blown away with the colors, textures, and bargains throughout the store. So, regardless of what you are looking for, Julie and her talented staff have just the item for you. In addition to all of the great items for sale, troVe also offers Annie Sloan Chalk Paint classes where you can learn: two color distressing, vintage finishing using dark wax, smooth finish, and color wash techniques. The threehour class is a great deal at only $75, but they fill up fast, so make sure to check out the schedule at troveofportage. com/chalk-paint-r-workshops and register quickly. If you are looking for some great items to help bring a little spring into your home, head down to troVe and say hello to Julie and Zoie. Make sure to let them know that your friends at Women’s LifeStyle sent you their way. you make of it. These ideas include ways that you can add organization, revolutionize your home tech, increase energy efficiency, enhance security and more. Find more ways to enhance your space this spring at eLivingToday.com. Take your smart home setup to the next level with assistance from a product like the Google Open shelving can add character, design and attractive storage to your home. For example, Home Hub. Its 7-inch touch screen and builtin Google Assistant technology answers your ClosetMaid’s Ventilated Shelving exhibits questions, shows you the weather and more simple elegance and is both an aesthetically pleasing way to showcase your favorite things using voice recognition software. The virtual and functional enough to keep linens fresh in assistant is available at retailers like Office Depot or OfficeMax, which offer Workonomy Tech the closet or hold clutter at bay by the front door. Made from solid wood and epoxy-coated Services to install smart home devices for added steel, these shelves are easy to install, durable convenience. It also works with other smart hubs for fluid integration between all your at-home tech and can complement nearly any room. Learn devices. Find more information at officedepot.com. more at closetmaid.com. As the temperature starts to rise and the snow starts to melt, many of us start thinking of spring cleaning. Maybe you’re planning to finally have a garage sale, tackle the basement, or deep clean all the nooks and crannies that have been lost to the dark side during the winter. look around and be in a space that doesn’t cause you stress and distraction. This might only be one room right now. But, have that space, so you can move on to the next step. What we don’t often think about spring cleaning is our mind. You’ve likely heard of Marie Kondo by now – the Japanese guru of “tidying up” and I think we can apply her concepts to our mind. It’s time to purge negative thoughts and messages that aren’t serving you, just like that pile of picture frames in your basement you plan to find a project for on Pinterest! Let’s take some time to clear out thoughts that don’t serve us any longer, bog us down, and invite chaos and doubt. If you’re really into spring time analogies, you can think about “pruning” these thoughts so you can bloom and grow fuller and stronger with the new season. •• What are my values, and are my thoughts serving them? •• What thoughts set me back from moving forward? •• What thoughts used to serve me, but now I don’t need them anymore? •• What thoughts stress me out and send me into a tailspin whenever they pop up? •• Do my thoughts “spark joy," as Marie Kondo calls it? •• What thoughts or beliefs am I holding on to that are irrelevant now? I highly recommend writing your answers down. By writing, you will get them out of your mind and on to paper instead, literally starting to declutter your mind and make space for new thoughts. As you make your list for spring cleaning this year, make sure to take some time to declutter your mind as well. It stores up a lot more “dust” than you think, and a good deep clean of the mind can be just as therapeutic as hauling out junk to the curb. Emily Betros is a licensed clinical social worker, certified health coach, and owner or Reclaiming Health, LLC. She helps clients put together an individualized plan to meet their health goals. Emily enjoys hiking, traveling, vegan-izing recipes, and spending time with her husband and daughter. Healthcare Women’s LifeStyle of Greater Kalamazoo is pleased to present Faces In Healthcare 2019. We are excited to introduce some of the area specialists that make West Michigan’s medical community so outstanding. Be sure to take a moment and read through the following pages to learn about their areas of expertise and get some valuable medical advice. several Western Michigan University sports teams and is very active in her community. Dr. Dennis has made several television appearances on The Lori Moore Show and WWMT. She is a regular contributor to the online site, The Practice Solution, and has been published in the Kalamazoo Gazette and several articles in The Heart of Texas Corners, Gull Lake Living and Women’s Lifestyle Magazine of Greater Kalamazoo. Dr. Dennis is the originator of “The Dental Prescription," the specific, detailed analysis and prescription for each patient’s needs and wants. She and her team sponsor at least one charitable event every quarter which include; “The $10,000 Smile Makeover Contest," Dentistry From the Heart®, Halloween Candy Buyback for Operation Gratitude, American Heart Association, Kalamazoo Humane Society Dog Walk and is a major contributor to their new veterinary clinic to open in the Fall of 2019. Dr. Dennis is happily married to her husband, Jim Murray, and together they have three wonderful sons and daughters-inlaw, and seven grandchildren. Susan M. Dennis | D.D.S. long-lasting hair removal. She also offers a variety of laser treatments that correct discoloration, sun damage, uneven skin tone and help with pore size & texture. 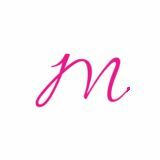 & Skincare Specialist with 18 years of experience. Using Visia Skincare Analysis, she is able to provide a detailed and accurate assessment of the client’s “skin age." She recommends Broad Band Light (BBL) Laser Treatments, a noninvasive anti-aging treatment that quickly and safely removes pigmentation, tightens skin and restores a youthful glow, for virtually all her patients. is to gently inject a combination of both Botox and dermal fillers (such as Juvederm or Restylane) to help patients appear more refreshed and relaxed! Board Certified Physician Assistant who specializes in Women’s Health. Being able to work within the specialty of aesthetics and plastic surgery with a focus on women’s health is truly her dream job. She has always wanted to be a resource for other women and is excited to help them become the best version of themselves. She is especially passionate about the diVa vaginal laser treatment because it so drastically changes the quality of life for patients. The diVa hybrid laser resurfaces vaginal tissue affected by childbirth and menopause and helps restore and improve vaginal health. Premier Vein Center For the last 10 years Dr. Scott Piereson has specialized in the most comprehensive and advanced techniques in the treatment of vein disease at Premier Vein Center. Recognizing that people with vein disease don’t always have obvious symptoms such as big bulging veins, Dr. Piereson and Premier Vein Center were the first to offer free vein screenings. Those who exhibit symptoms may experience aching, heavy legs, swelling, or sometimes even darkening of the skin in the lower legs. Dr. Piereson and his colleagues use a short ultrasound test to provide insight and determine whether symptoms are caused by vein disease. A positive test in the screening ultrasound highlights the need for further evaluation and treatment of vein disease. certification of the American Board of Venous and Lymphatic Medicine. He is a compassionate doctor who prides himself on educating patients about their condition and treatment options so they can be active participants in their care. Over the years, Dr. Piereson has seen the treatment of vein disease come a long way. Now located in a doctor’s office instead of a hospital, vein treatments include minimally invasive options, are typically covered by most insurance, and are not associated with downtime. easy to treat veins as well as more difficult cases and veins, they believe that leaving problem areas untreated makes patients more susceptible to recurrence later and may not provide ideal symptom relief. If tired, achy, or swollen legs and veins are limiting your comfort physically or aesthetically, we invite you to schedule an appointment with Dr. Piereson and Premier Vein Center. To register for a free vein screening, visit www.premierveincenter.com/veinscreening or call 269.585.VEIN (8346). their original volume, which amounts to about a 20 percent reduction in their diameter. More importantly, they soften after embolization and no longer exert pressure on the adjacent pelvic organs. No surgical incision is neededâ&#x20AC;&#x201D;only a small nick in the skin that does not have to be stitched. Follow-up studies over several years have shown that it is rare for treated fibroids to regrow or for new fibroids to develop after uterine fibroid embolization. This is because all fibroids present in the uterus, even early-stage nodules that may be too small to see on imaging exams, are treated during the procedure. Fibroid tumors, also known as myomas, are benign tumors that arise from the muscular wall of the uterus. It is extremely rare for them to turn cancerous. More commonly, they cause heavy menstrual bleeding, pain in the pelvic region, and pressure on the bladder or bowel. In a UFE procedure, an interventional radiologist uses an x-ray camera called a fluoroscope to guide the delivery of small particles to the uterus and fibroids. The small particles are injected through a thin, flexible tube called a catheter. These block the arteries that provide blood flow, causing the fibroids to shrink. Because the effect of uterine fibroid embolization on fertility is not fully understood, UFE is typically offered to women who no longer wish to become pregnant or who want or need to avoid having a hysterectomy, which is the operation to remove the uterus. Your doctor will likely evaluate your condition using diagnostic imaging to determine whether you are a candidate for UFE. Uterine fibroid embolization is a more permanent solution than the option of hormonal therapy, because when hormonal treatment is stopped the fibroid tumors usually grow back. Regrowth also has been a problem with laser treatment of uterine fibroids. Our Interventional Radiologists perform this procedure at Bronson Healthcare in Kalamazoo and Spectrum Health Lakeland in St. Joseph. For additional information on this procedure call 616-459-7225. North Woods Village of Kalamazoo Debra Murrey is the Executive Director of North Woods Village of Kalamazoo, a brand-new memory care assisted living community that boasts 61 spacious resident suits in three secured neighborhoods. A Certified Dementia Practitioner with extensive experience in handling all stages of Alzheimer's Disease and dementia based illnesses, Debra is a compassionate, caring executive leader and educator. She is committed to equipping her staff to enrich the lives of residents while guiding families through their loved ones' journeys. Debra lives in the area with her family and loves to go boating, take long walks and enjoys watching The Ohio State Buckeys. Verify that the provider participates with your insurance plan. Location, location, location You aren’t going to want to travel long distances when you are feeling under the weather, so find a provider close to home. Ask the people in your life for a recommendation. Research education, quality of work & licensure with one of the many available internet resources. Bonita J. O’Reilly FNP-BC Moorsbridge Family Health is a division of Betten Integrative Medicine, where Bonita O’Reilly FNP offers Direct Primary Care services in collaboration with Karen Betten MD. Meet Bonita J. O’Reilly FNP-BC Bonita O’Reilly is a board certified Family Nurse Practitioner with over 15 years’ experience in Primary Family Medicine. She has practiced primary care in multiple settings, treating patients from newborn to the elderly. Her experience includes urgent care, acute care, chronic disease management, diabetic teaching, women’s health, and pediatric well child and sick care. Bonita O’Reilly’s expertise is in patient education as well as in wellness promotion to empower patients to take charge of their health. She is very pleased to continue to provide health care to her community with a new direction that provides more time for comprehensive patient care. Direct Primary Care is a different approach to providing health care. Instead of the pay-per-visit model, patients contract directly with their healthcare provider, paying a flat monthly fee that covers most common healthcare services. This allows patients to have their routine healthcare needs met with no insurance required. More information may be found at MoorsbridgeFamilyHealth.com. O’Reilly is a graduate of Memorial Hospital School of Nursing in South Bend and she earned her Master’s in Public Administration with a Minor in Gerontology from WMU. She practiced nursing at Borgess and Bronson Hospitals and spent 9 years with Visiting Nurses Association providing case management for elderly and homebound patients. O’Reilly also taught Pediatric Nursing for KVCC for 5 years and completed her Master’s in Nursing Practitioner at GVSU. Apple-Mustard Glazed Ham Dinner Tender, juicy American ham, oven baked and basted with our homemade apple mustard glaze. A tender breast of chicken stuffed with our traditional bread stuffing. Oven baked, then laced with chicken gravy. Served with choice of two side dishes & fresh hot bread. Register to Win a Giant Easter Bunny and $50 Gift Card for Mom & Dad! Southwest Michigan is home to some amazing farmers' markets. Visit your favorite and stock up on local, organic food. You can save up to 200 gallons of water each month by just turning off the tap while brushing your teeth. Although recycling education has been around for decades, the U.S. recycling rate is only around 34.5%. Water bottles, paper towels, paper plates, feminine hygiene productsâ&#x20AC;Śwe throw away (literally) tons of disposable products every year. Cut down on the waste and replace these items with quality, reusable alternatives. Save energy & enjoy the crisp feel & smell of laundry dried in the sunshine. New Tattoo Vinca (BPT) - Today’s plant lovers want more than the traditional flowers to enhance their home. Rather, people want to enjoy the experience of getting in touch with nature, while also looking for unique flowers and plants to add a more creative, personal touch of color and inspiration to their yards. This year, gardens will be more visually interesting, environmentally friendly and demonstrate the love and care provided by the families who tend them. Detoxing from our daily dependence on digital distractions and tech gadgets is becoming not just a desire, but a necessity. What better way for you and your loved ones to take a break from screens than to spend time with plants, creating beauty, serenity and even a nutritious lifestyle? Make the process a group effort: from going to your favorite garden center and choosing your veggies, to caring for them and watching them grow, then harvesting and eating, the full experience is something to enjoy. Plant and grow veggies like the Snackabelle Red Pepper, a mini bell pepper that starts out green, then ripens red, with a rich, sweet flavor - perfect to have at home for snacking as well as cooking. Look for unexpected colors to help you make a statement with your containers, window boxes or indoor potted plant garden this year. Striking new colors include the 2019 Pantone color of the year, “Living Coral,” seen in the Gerbera Revolution Salmon Shades potted flower, also known as the African Daisy. Gerbera plants are easy to care for and provide great indoor decor, which also makes them perfect choices for gift giving. New Tattoo Vinca looks like a work of art, with gorgeous petals showing modern colors, swirled with soft strokes of black that make each petal look inked. The Tattoo Vinca is not only low-maintenance and heat-tolerant, but will attract pollinators like bees and butterflies to your garden. The Double Zahara Bright Orange Zinnia is another great choice for head-turning color. Its double flowers bloom in vivid orange, and they are suitable for landscaping and container planting. This flower is also a breeze to care for and pollinator-friendly. New gardeners who want choices beyond traditional flower options have great alternatives this year. If you’re looking for plants that are durable and colorful, the Echinacea Sombrero Tres Amigos produces a deer-resistant perennial flower that is highly attractive to butterflies and songbirds. Tres Amigos shows three colors, opening as a peachy-orange color, then aging to rose and fading to burgundy. A great way to fill large spaces quickly is the attention-getting Big Blue Salvia, with spires that continuously bloom from July into the fall, with little care needed. This flower grows from 24 to 36 inches tall, with beautiful deep blue blooms that are attractive to hummingbirds and bees. "Our success has really been based on partnerships from the very beginning. —Bill Gates, founder, Microsoft Kelly Duggan is an Image Consultant specializing in executive and personal image development, etiquette & communication skills. She is a certified member of the Association of Image Consultants International. Contact Kelly at: www.kellyduggan.com. oday, networking is much more than meeting and greeting at a luncheon or get-together. Technology has added new ways of connecting with others and has created new challenges for an old art. Despite high-tech advances, however, old-fashioned etiquette rules remain important. Here are some ideas for presenting yourself in a professional, compelling way both in person and online to earn new business and uncover opportunities. Your current clients and prospects are your best source for referrals to others who might need your services. Do not be shy about asking them to help you expand your business. Request contact information for anyone your client wishes to refer to you and reach out to contacts in person whenever possible. Also always leave your business cards with your current clients to hand out to others as you come up in conversation. Your local chamber of commerce and professional organizations associated with your business offer many ways to make yourself known in your industry and geographic area. Attend a breakfast or luncheon meeting and bring along your marketing brochures, business cards and a notebook to jot down information about the new contacts you meet. The line between business and personal lives can easily blur in the online world. When you are networking online, use caution when revealing the details of your life to others. Pay careful attention to the networks you are considering joining and consider the implications to your privacy. Services are available for helping business people navigate these waters gracefully and professionally. Services such as Facebook and LinkedIn give you the opportunity to join professional groups appropriate for your type of business. Learn online networking protocol and adhere to community standards. Learn how to properly approach a business proposition lest you appear to others as a “spammer,” which is considered a serious breech of etiquette and trust on many social networks. PRESENTING YOUR BUSINESS CARD AND OFFERING TO CONNECT Online social networks offer opportunities to introduce yourself, connect your profile to colleagues and prospects and show your work relationships to others. Some people find it intrusive to be offered a friendship if they have not met you in person; others enjoy having a large network. Carefully study each online network you join and consider with whom you want to connect before choosing a strategy. You can find services to help you identify sites that make sense for your organization and develop a strategy for maximizing your networking results. You make an impression online just as you do in person. Show enthusiasm in your introduction. Mention how you are connected to someone and make a special offer, such as an invitation to an upcoming business event, or mention a recent event at which you came into contact. This personalizes the contact and is a polite way to demonstrate you are not canvassing the entire community, but have a real interest in reaching out to that person individually. You are always available online, and you can now network even in your sleep! Potential networking contacts can join your network or sign up for your newsletter, view your website and find your business via search engines. This can increase business and help grow your network. Put attention on your virtual image. How good you look online is as important as how good you look in person. Soon, your network will be wider and deeper than ever before as you create, come across and are offered many opportunities for growing your business exponentially. anyone. Check in on your money, insurance needs, investments, and tax situation once in a while, just to say "hello" and assure yourself that everything is going along the way you want it to. If you are a “collaborator," you are probably keeping track of your financial situation on a regular basis, or at least your other person is sharing the basics with you. This person could be your spouse, partner, family member, friend, or a trusted financial advisor. Make sure the other person understands that you do not want to be left out in the cold. Why Old National Investments? Personal. Professional. Principled. Build the future you envision with a trusted advisor who listens to your goals and helps you create a suitable plan for your life. Sandy has 29 years of experience as a financial advisor and specializes in retirement and income planning. Talk with Sandy Derby about your financial plan at 269-459-0474. Securities and Investment Advisory Services offered through LPL Financial, a registered investment advisor. Member FINRA/ SIPC. Insurance products offered through LPL Financial or its licensed affiliates. Old National Bancorp and Old National Investments; not registered broker/dealers; not affiliated with LPL Financial. Pour batter into a well greased and floured bundt pan or tube cake pan. Place 2 cups water in an ovenproof container on the rack in the oven next to the cake. Remove the pastry shell from the oven, let it sit for a minute or two and then spread on the honey dijon mustard with balsamic vinegar (or dijon mustard if that's what you have) and then sprinkle on the Gruyere cheese. a Kalamazoo staple. They offer fresh, Tuscaninspired cuisine. It’s a place I have been to many times before and have never had a bad meal! We walked in on a weekday evening for dinner and were greeted by a friendly hostess who immediately showed us to a table in the dining area. The dining room is large and centered around a large wood fired pizza oven. The décor and lighting are warm and welcoming and the large fireplace adds to the cozy ambiance. Soon after being seated, our wonderful server came to take our drink order. Bravo! brews their own beer, so I went ahead and ordered their PRIZED PORTER, which was delicious! in front of me that held a tomato basil risotto, asparagus and two large scallops. I was confused at first because the salmon wasn’t on the plate. But then the server plated my salmon on top of the risotto. It was a beautiful presentation. The flavors were wonderful together! Overall the meal was very good. I thoroughly enjoyed it. My only critique (and I’m getting nitpicky here) would be that while the scallops were cooked perfectly, they were a little on the salty side. The salmon’s spices were great, but the fish itself was just a tad overcooked. The risotto was perfect. My dinner companion ordered the ITALIAN MEATS PIZZA which had tomato sauce, prosciutto, capicola, pepperoni, fresh We decided to start with the CALAMARI, which mozzarella, and parmesan. It looked like our server brought to the table very quickly, something you would get in Italy! He was along with a bread basket. very excited at how it was full of some of his The calamari was good. A lot of times calamari favorite meats. The pizza wasn’t heavy on the is overcooked or rubbery, but these were sauce, which enabled the meat to be the star of neither. They were small, but there were a the pizza. He also commented on how yummy lot of them so that was just fine. The tomato the crunchy crust was. His one and only critique pepperoncini salsa that came with it was a was that the pizza could have been cooked just wonderful accompaniment. a tad longer. The bread was soft, fluffy and very flavorful. Tiramisu was the best I have had in this area. It was light, creamy and had just a hint of the coffee flavor that I love. My companion was overwhelmed by his delicious cheesecake and practically licked his plate clean. We both agreed that the presentation of the desserts was some of the best we had seen. AND WHY IT MAY BE RIGHT FOR YOU! health coach, so it’s important to make sure they are certified. It’s also good practice to inquire about other areas of specialty, training, experience, or professional degrees. Some health coaches might specialize in meal planning while others focus on mindful eating. When starting to work with any new health professional, ask what inspires and motivates them, and see if that speaks to you and your needs. Finally, a health coach should be open to working with your other health professionals if needed. They should take information and recommendations from other professionals seriously when helping you make decisions about your health. You can think of a health coach as the expert motivator and supporter outside of your doctor’s office! So, what should you look for in a health coach? Emily Betros is a licensed clinical Most importantly, you want to find someone social worker, certified health coach, and owner of Reclaiming Health, you feel comfortable with, treats you with LLC. She helps clients put together respect, and validates your individual needs. an individualized plan to meet their They should not be pushy or try to sell you a health goals. Emily enjoys hiking, product. They are there for you, not a brand traveling, vegan-izing recipes, and spending time or company. Anyone can call themselves a with her husband and daughter. The Ants Go Marching One by One Ants are the number one nuisance pest in the United States. Ants enter your home this time of year seeking shelter and foraging for protein, grease or sweet based foods. It is important to remove any trails or food sources so the ants do not return. Here are a few interesting ant facts: Ants are social insects that live in colonies. A colony consists of three different types of ants: the queen, the female workers and males. The queen is the only ant that lays eggs. The males and the queen have wings, the workers do not. Ants need moisture to survive. There are a few simple tricks to remove moisture from your home. Check your gutters and spouts to make sure water is flowing away from your home. Fix any leaking pipes or fixtures. Last, run a dehumidifier inside your home to reduce any moisture. Clean any messes you’ve made, especially in the bathroom and kitchen. Scrub ant entrances and trails with soap and water. Ants leave an invisible pheromone trail to signal other ants that they have found a good source of food. Ants can access your home through even the smallest cracks and crevices. You won’t be able to find them all but take the time to find as many as possible. Seal any potential entry points using caulk or other materials. You can purchase door and window seals at the hardware store. Do not leave any open food items on counter tops or in cabinets. Pet food should be sealed in containers. Also, take out trash regularly. Once you’ve taken steps to remove attractants and prevent ants from entering your home, you can implement a treatment plan. Treatment plans should include killing the entire colony. One colony can include millions of ants! Just spraying an ant with a typical ant spray, particularly a repellent spray will only kill a few at best and scatter the colony. You may want to seek professional help from a pest control company. by Sue Whitney We all need our own special place, whether we are readers, sewers or crafters. The idea of having a space where we can relax and renew is appealing. Men have been asking for their "man cave" for years and now it’s our turn. This book focuses on small sheds and backyard structures, complete with decorating ideas and fun designs. It’s easy to get listed in our Events Calendar. Our deadline is the 10 th of the month prior to publication. Email us at: calendar@womenslifestylekazoo.com. Please type CALENDAR in the subject line. Ladies Library Association. 5 – 7 pm. Join us for a fun evening celebrating women! (Geared toward women in the greater Kalamazoo area.) Grace Anne Kalafut will present a short program at 5:15 p.m. on “Hats, Hair, and History.” Local vendors will sell goods to create a unique shopping experience. There will be appetizers and beverages (including a complimentary glass of wine). $15. 269-344-3710. ©2019 MWA American Heart Association. Also known as the Heart Fund. Beautiful landscaping doesn’t happen by itself. Papa Pete’s. 8 – 11:45 pm. Luxotica Lounge Cabaret is a lush burlesque show featuring stunning variety talent, with a twist. Enjoy a little circus and a lot of seduction, set to exotic original tunes performed live, that turns classic cabaret on its head. As vibrant as your favorite technicolor tiki cocktail, Luxotica treats you to an evening of gals, games and high energy hip swinging replete with tassel twirling, hoop dance, fire eating, acrobatics and just enough audience participation to get you hooked. $10. 269-388-2196. Lord of Life Church, 9420 Portage Rd., Portage 4/26: 7 pm - 9 pm, 4/27: 10 am - 5 pm. A musical meditation for insight, emotional healing, creativity & renewal. $30/Friday or $75/Saturday. Pre-registration is required. 269-388-2988. www.AdamczAssociates.com. Thank you for making our 10th Women's Expo a huge success! We look forward to seeing you next year. Here’s your connection to the local businesses we know you love to support. Independent businesses & the people they serve are what makes our community so strong. SIMPLY STATED - SOMEONE YOU CAN TRUST! Register to walk. Help animals!